Recent surveys show that many kids don’t know where their food comes from. We teamed up with the Royal Highland Education Trust to help shine a light on how food gets from the farm to the table. 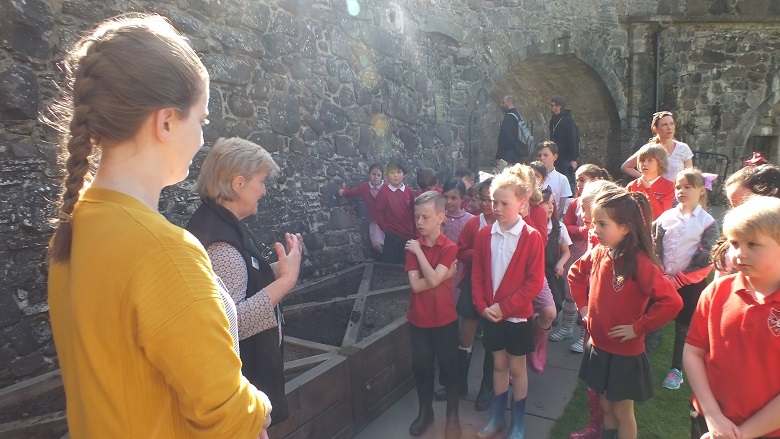 Eleanor Muir, Visitor Operations Manager at Stirling Castle, explains why we decided to bring a bit of the farm to Stirling Castle this summer. In the Year of Young People, we partnered up with the Royal Highland Education Trust (RHET), the educational arm of the Royal Highland Agricultural Society. The purpose of RHET is to bring school children to farms and teach children about the countryside. This will help them understand where their food source comes from. However, farm visits for schools can sometimes be costly and time-consuming. It might not always be possible for them to happen. RHET also runs the Broth to Bannocks project, where children can watch the miracle of growing their own food. At Stirling Castle, we have always fostered good relationships with the local Allan’s Primary School. Both Kirsten (our Learning Officer) and myself felt this would be a good opportunity to promote healthy eating. 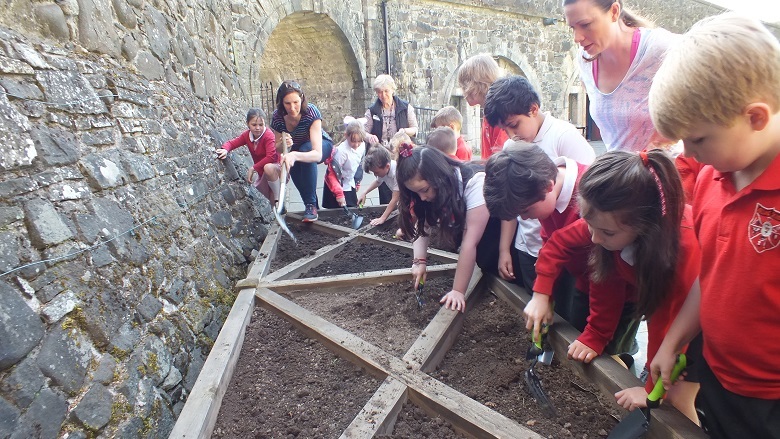 Pupils from Allan’s Primary in the garden at Stirling Castle at the start of sowing season. We sowed seeds just after the Easter holidays with the intention of making broth before the end of term. However, Mother Nature intervened, and the late season meant that the main crop wasn’t ready before the school broke up for summer. The lettuce wouldn’t wait, and we needed to organise something quickly! Modern apprentice, Rhys Young, tells us how he made sure the lettuce didn’t go to waste by organising a staff picnic. Pupils get their hands dirty sowing the lettuce seeds. I signed up for Historic Environment Scotland’s modern apprenticeship program, as it was a way for me to get into full-time work. It was also a way to further my interest in history. I started the programme by gaining experience with the retail, front of house and guiding team. As time went on, I ended up falling in love with the Castle which made me want to become a guide. I was constantly interacting with people from all walks of life. This made every day different and interesting. 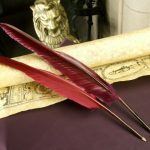 My apprenticeship was not your standard one by any means, and certainly not a walk in the park. Although it was hard work, I was able to meet some great people and learn new skills along the way. The apprenticeship programme has been a great experience so far and it’s excellent to be part of it during the Year of Young People. I was expected to work to the best of my ability, but I was also expected to take on new responsibilities such as arranging internal events. With this in mind, I was given the task of coordinating a Lettuce Picnic for staff at the castle. This was to celebrate the success of the work Allan’s Primary and RHET had carried out. As the children will no doubt find out, farming does not take a break for the summer. We will have to fess up when they return that we’ve used the lettuce. Eleanor set about preparing the lettuce and I selected the date, time and place for the picnic and invited all of our guests. So on Monday 23 July, we invited a representative from Allan’s Primary for our picnic in the Queen Anne Gardens along with a selection of our staff. Sandwiches were made and fizzy apple juice was drunk as we celebrated the work Allan’s Primary had done along with RHET and our gardening team. Find out more about school visits to Stirling Castle here.